On its ninth edition, the Comic Festival will once again be taking over Brussels Park with its typical tents on 14, 15 and 16 September 2018. In this stunning setting of lush Brussels greenery, the Comic Festival will be hosting the range of activities that have earned it such a great reputation: autographs, animations, talks, workshops, exhibitions and more! Every year, the top publishers set up shop at the Comic Festival ready to wow their fans with a fantastic programme. With hundreds of authors signing autographs, animations for the little ones, conferences for the not‑so‑little ones, all kinds of competitions and much more, there is something here for everyone! The Casterman publishers will be celebrating the anniversary of their famous character Alix with a great exhibition and all sorts of animations. The Dargaud publishing house will be raising eyebrows with a giant fresco painting by Enrico Marini. 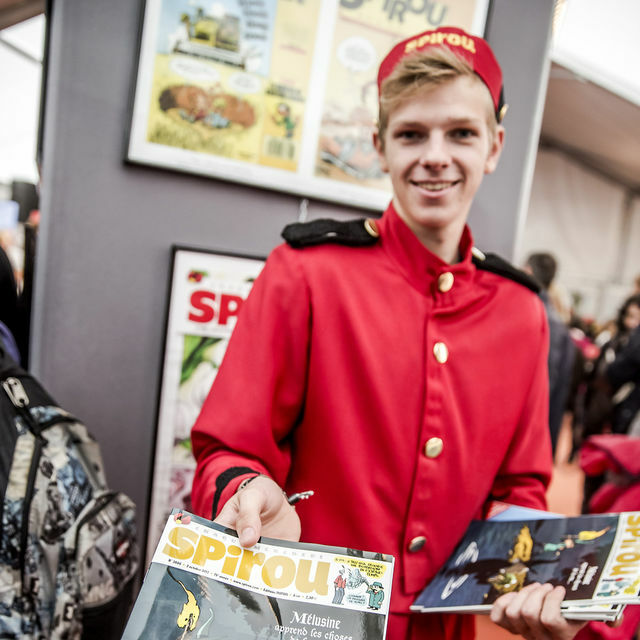 Dupuis will be back with their legendary Spirou Festival, but that's not all – this major Belgian publisher will be pulling out all the stops to celebrate the 30th anniversary of their Aire Libre collection. Le Lombard, meanwhile, invites visitors to the grand Fancy-Fair inspired by Ducobu and to play the “Timo the Adventurer” treasure hunt. And Glénat takes visitors on a journey to explore the universe of Conan and Amber Blake, which includes meeting the authors. But there's more in store! For the first time in Comic Festival history, the famous Dutch publishers Standaard Uitgeverij will be joining the action at Brussels Park to celebrate the release of the 100th edition of FC De Kampioen, inviting everyone to dive back into the well‑known world of Bob & Bobette. 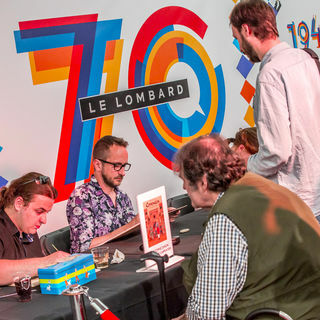 The Comic Festival has a varied programme of themed conferences lined up, courtesy of authors, historians, researchers, specialists, colourists, journalists and other professionals who all come together to discuss the wonders of the 9th Art. This is also an opportunity for comic authors whose characters have made it to the big screen (such as Zep's Titeuf and Bastien Vivès' Polina) to present the films that brought them to life, some of which will be premiering during this special event. 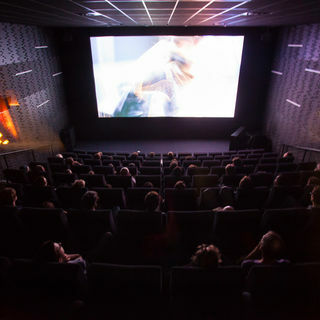 The Festival's annual collaboration with the Cinematek also grants three authors free rein to choose and present a film that has a special place in their hearts. With the Spirou and Fluide Glacial magazines releasing their new special editions, this will also be the perfect occasion for these two kings of the comic world to challenge one another in a crazy comic-off. Who will emerge victorious? Will they rip each other apart? All will be revealed on 15 September at BOZAR! This year no less than 19 countries will be represented by foreign delegations and representatives in the International Pavilion. It's the perfect opportunity to discover comic strips through 19 different cultures. On the schedule: conferences, exhibitions, autographs, and workshops will take you on a trip around the 9th Art world. 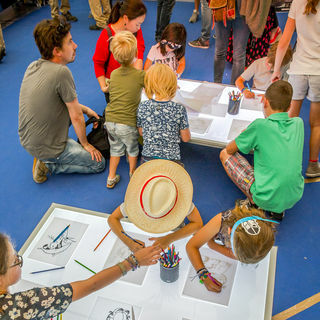 Every year the Comic Festival offers all visitors, young and old, the chance to test their hand at comic drawing or take part in the entertaining activities organised by the Festival. 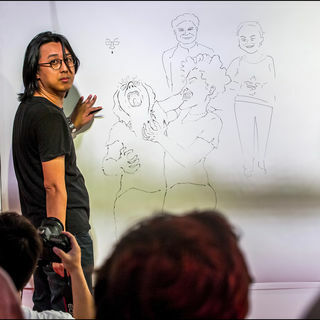 There are activities for manga fans, fanzine workshops for youngsters, contests and performances for all ages. Exhibitors and publishers let their imaginations run free to reveal a world of exciting new discoveries along with their all‑time classics.